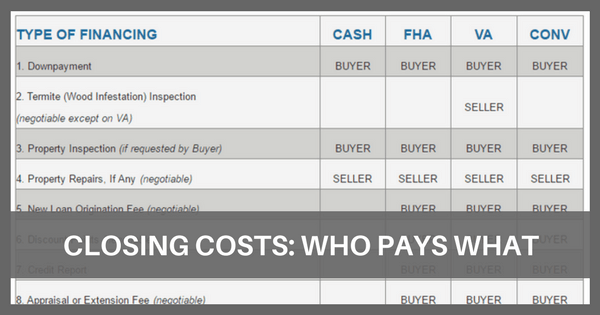 This chart indicates who customarily pays what closing costs. Closing costs are not set in stone and not all listed below apply to every real estate transaction. You and your Realtor should discuss closing costs that relate to your specific transaction.